Paper Pawz: Yeti New Year! Happy New Year crafty friends! 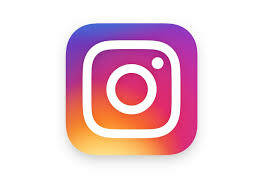 I can't believe it is 2018! 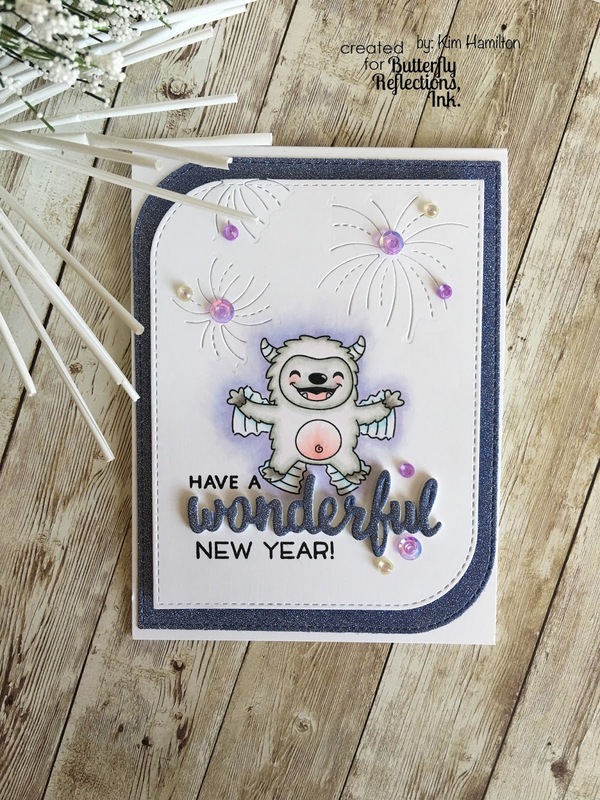 I am looking forward to the New Year and I am pleased to be with you today sharing this Yeti New Year card! All of the products used are available at the Butterfly Reflections Ink. shop. 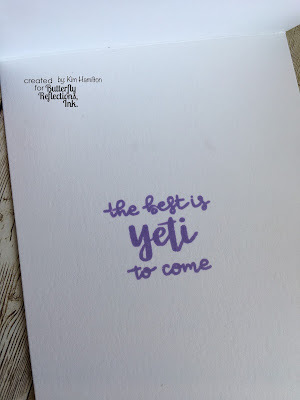 I ordered this fantastic Yeti Fun set by Craftin Dessert Divas late in the season and I so wanted to use it! This set can also be used for winter themed cards which, is fun. I decided to use the "snow angel" Yeti because he is just too cute! I then added one of the sentiments from the Yeti Fun set on the inside to finish off the card. I hope you all have a wonderful 2018! If any of these products interest you go to the Butterfly Reflections Ink. shop and if any items are out of stock, simply select the "notify me" Vanessa re-stocks quickly! Thank for taking the time!